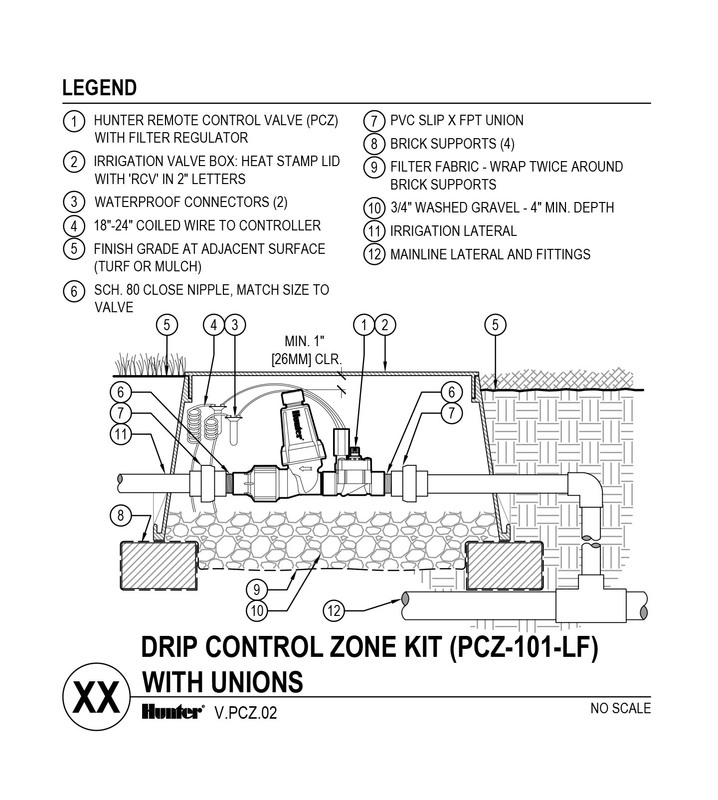 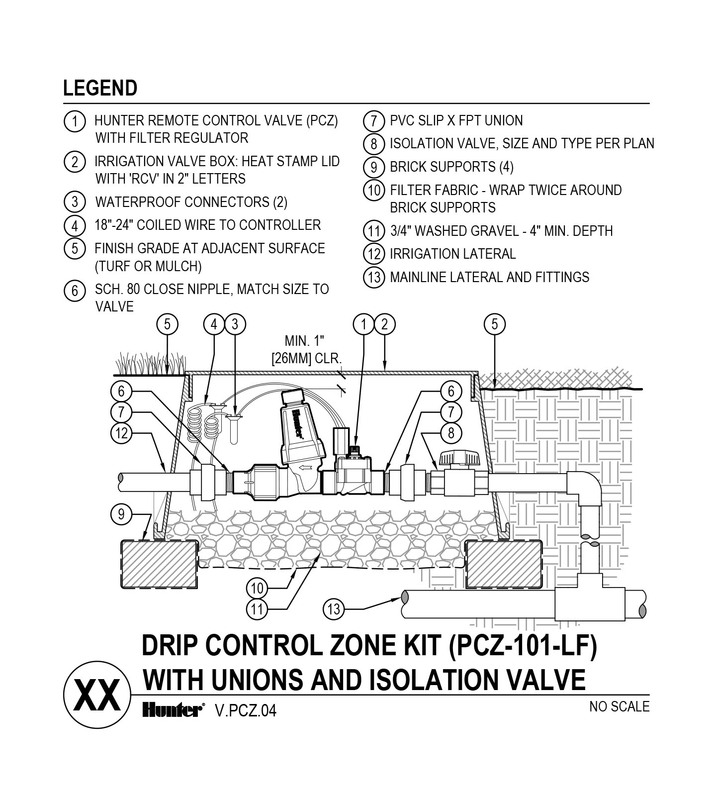 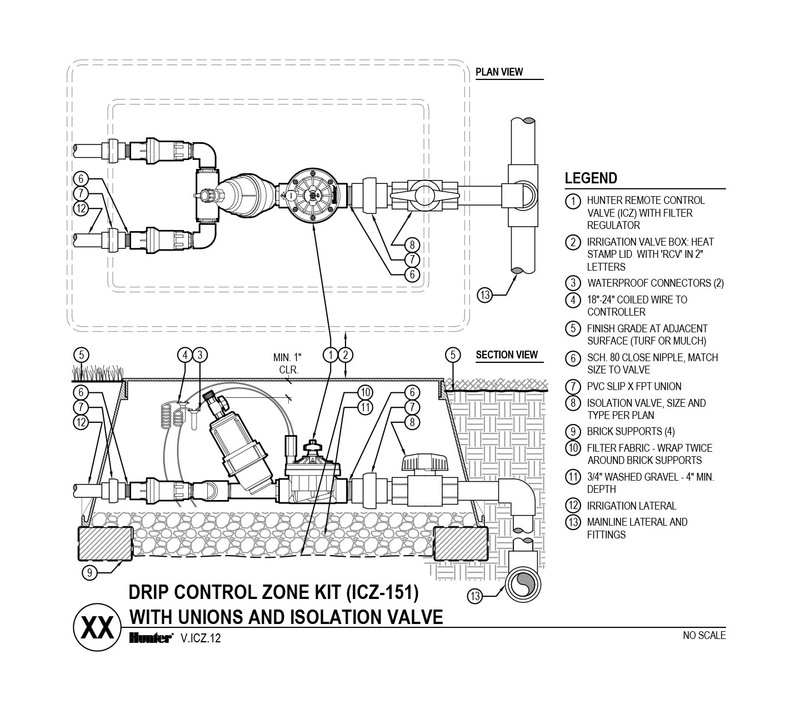 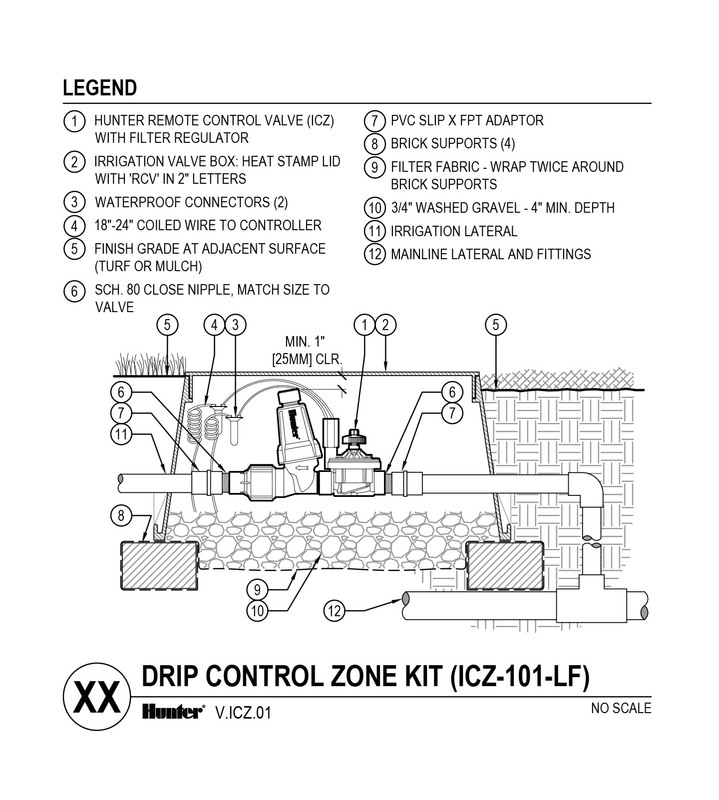 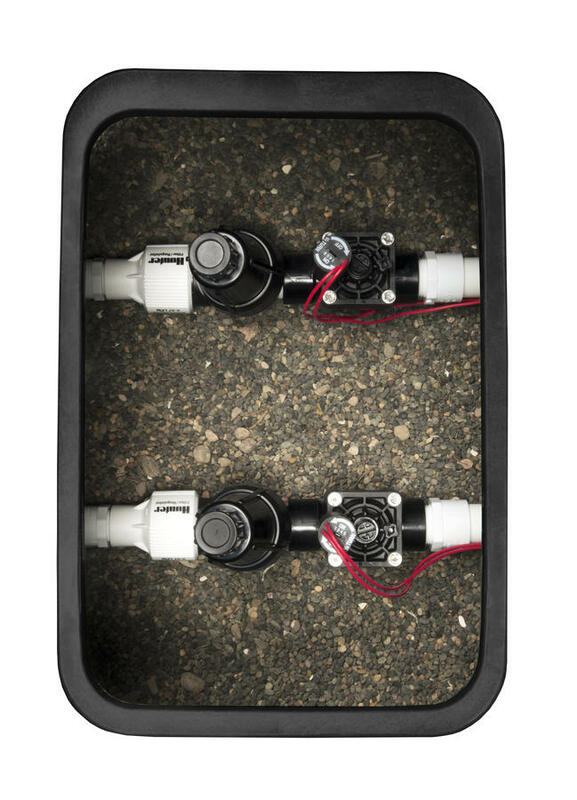 For the demanding requirements of commercial job sites, Hunter’s ICZ Drip Control Zone Kits are here. 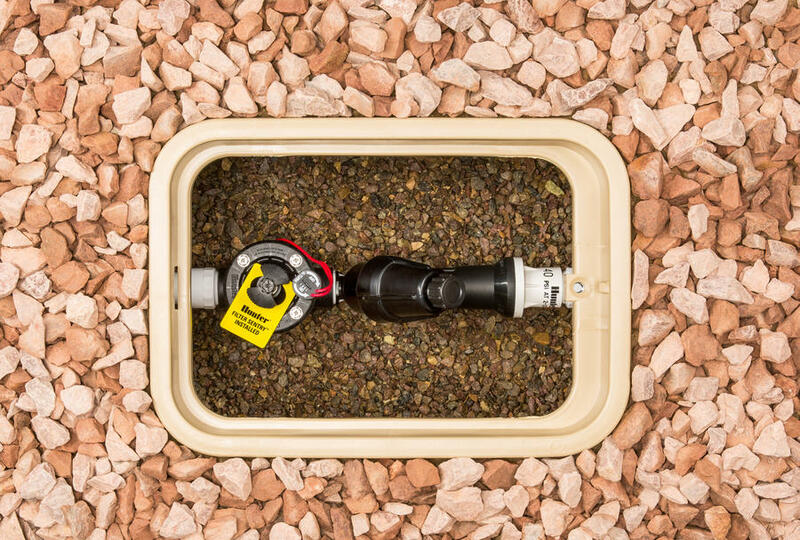 The convenient all-in-one kits, offer the superior performance of the Hunter ICV valves along with a stainless steel filter and pressure regulator. 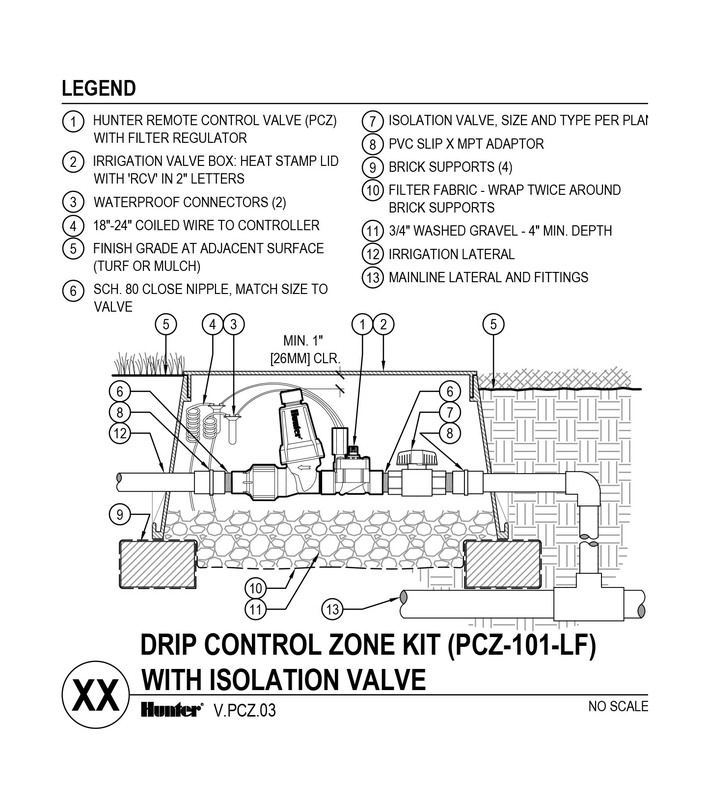 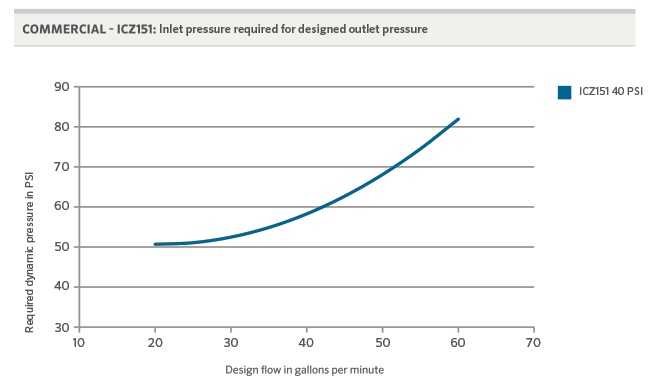 Because these kits include pressure regulation that ensures a consistent 25 or 40 PSI, the ICZ makes it possible to accommodate drip needs in an environment where it would normally be difficult to do so. 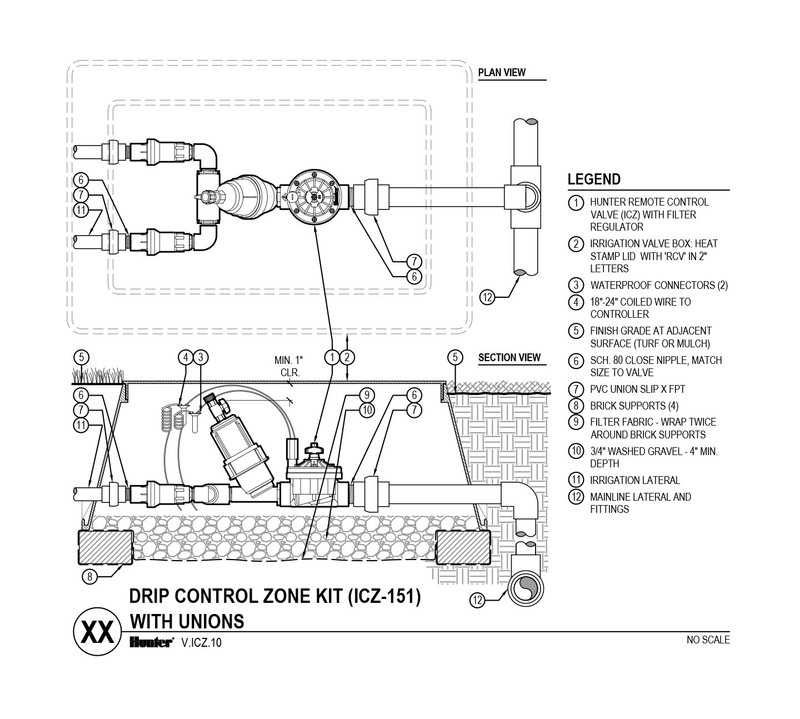 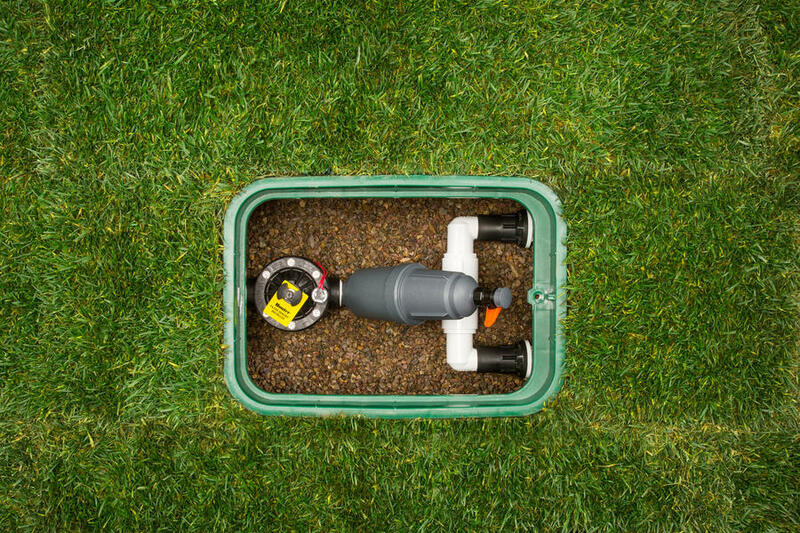 With everything pre-assembled and water tested, the ICZ provides a hassle-free way to install drip zones on commercial jobs. 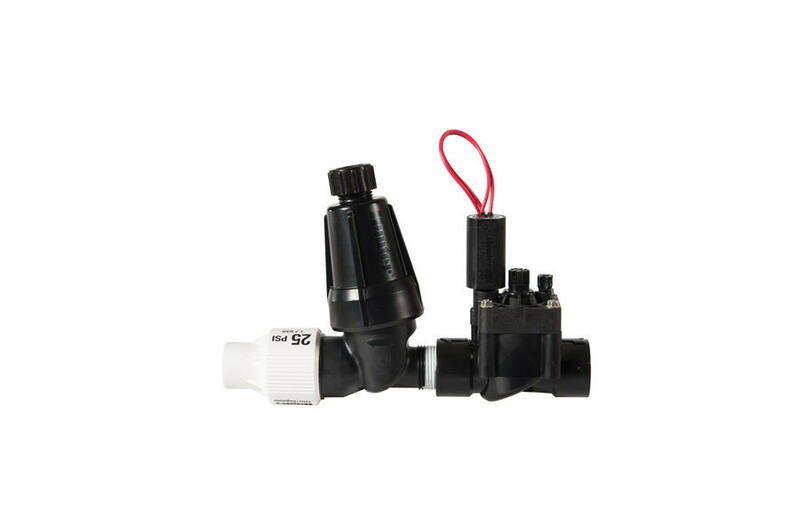 These pre-assembled kits bring together the popular PGV valves with both a filter and a pressure regulator, providing you with a complete control zone. 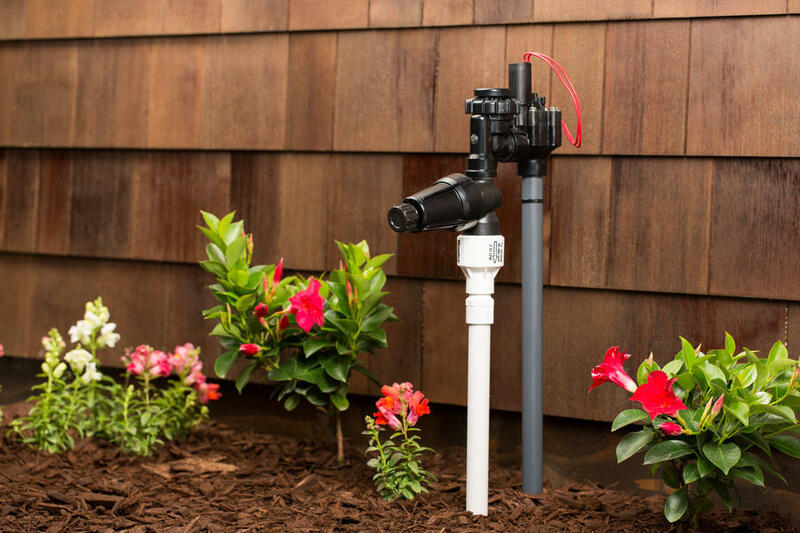 The PGV valve features high-grade material construction, including a bonnet made of durable PVC. 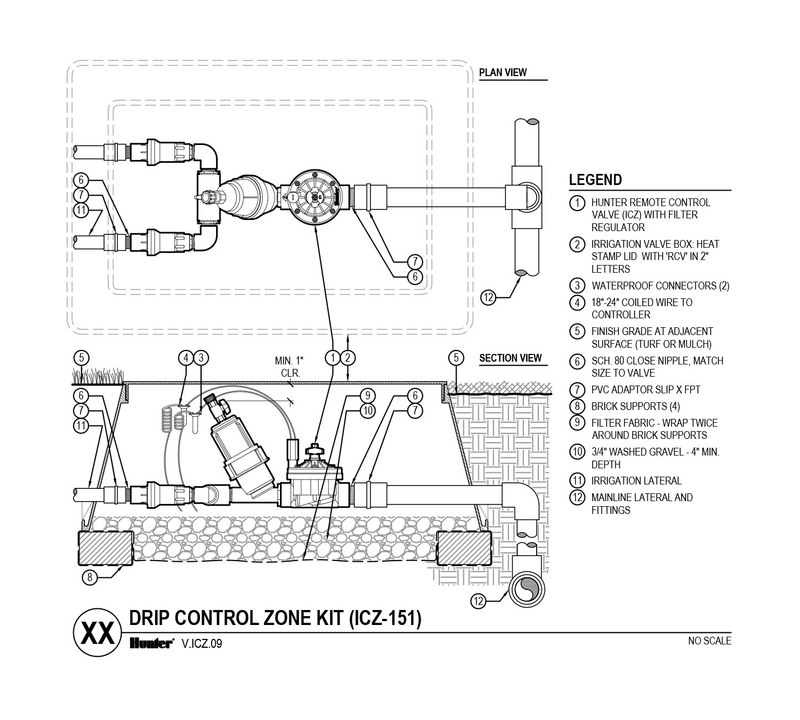 Rounding out the kits elements are a stainless steel filter screen, flush cap and pressure regulator to maintain a consistent 25 or 40 PSI. 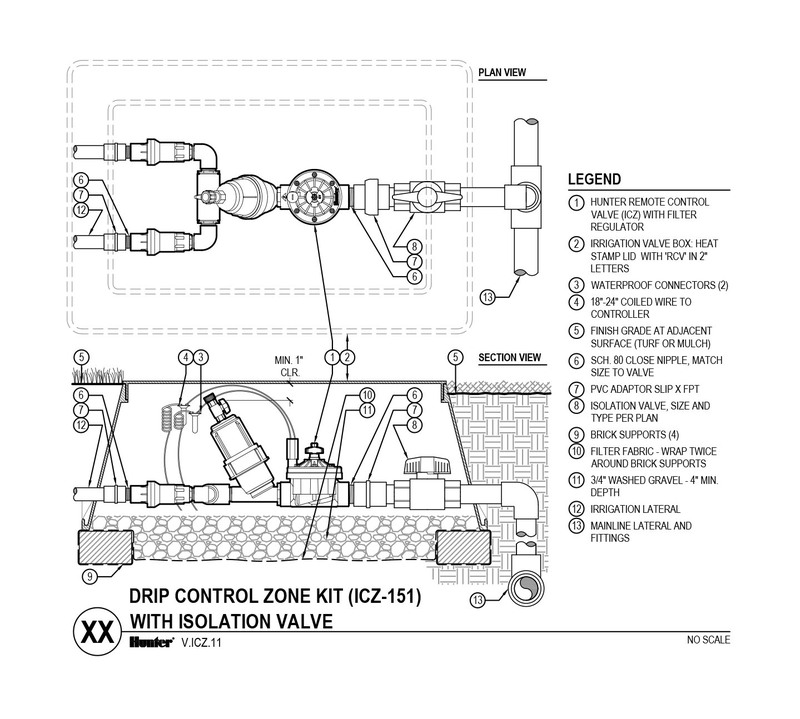 To save both time and labor use the ACZ kit to meet your anti-siphon needs.